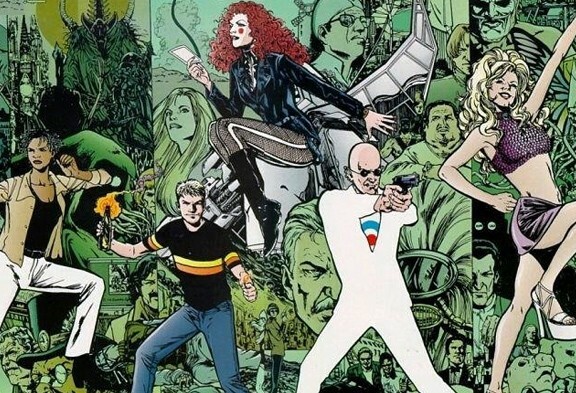 Adafruit’s comic reading list: The Invisibles by Grant Morrison #adafruitcomics @grantmorrison « Adafruit Industries – Makers, hackers, artists, designers and engineers! A new edition of Adafruit’s comic reading list — this week it’s The Invsibles by Grant Morrison written up by shipper, gatherer, and manager Zay (Invisibles name: shakescene)! Remember when a really good conspiracy theory could make the hair at the back of your neck stand up? Watching The X-Files in your friend’s basement, or being handed Robert Anton Wilson’s Cosmic Trigger in the depths of some illicit bookstore, or hearing that bootleg Terence McKenna recording that you’d only heard about because some crazy Scottish guy told you about it? That was the 90’s for a lot of us, a decade still floating between the fall of the Berlin Wall and the fall of the Twin Towers, symbol-laden events that put an impact crater in all our hearts. Outside of that decade, conspiracies don’t really carry the same kind of shock. What was the secret history of the 20th Century has become the Facebook feed of the 21st. 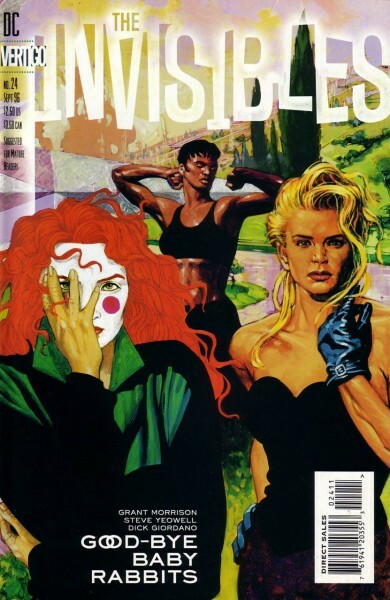 So what use do we have for conspiracy-driven 90’s pop-art like The Invisibles, by Grant Morrison? The Invisibles are a group of warriors, mystics, millionaires and malcontents committed to the revolution. Just what they aim to revolve is a question raised early and often in the book, with regular inversions right up until the last panel. 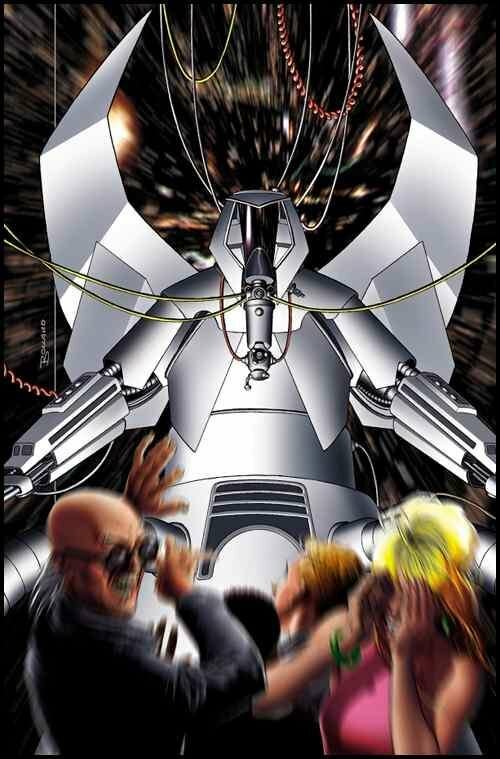 Possible goals that the Invisibles might have could be defeating a posh baddie named Sir Miles, waging war on some extra-dimensional overlords, rescuing a creature who has been trapped in its own creation, or dancing like mad all night long. Your friends from the Invisibles are Boy — an American ex-cop out for revenge,Dane — a foul-mouthed English hoodlum who’s probably the future Buddha, Ragged Robin — a telepath unstuck in time, King Mob — a man who wrote himself into being an assassin, and Lord Fanny — a trans shaman from Brazil. Every one of them has a rich emotional story that unfolds in bold and delicate ways throughout the thousand-plus pages of the story. It’s a rip-roaring adventure so involving and engaging that you can “play” in a sense, by picking whatever character appeals to you most and wearing them like a fiction suit. It’ll be the the best action movie you ever rode. Which is important, because once you’re in, the story can get tricky. If it seems like I’m being coy about the story, I am. 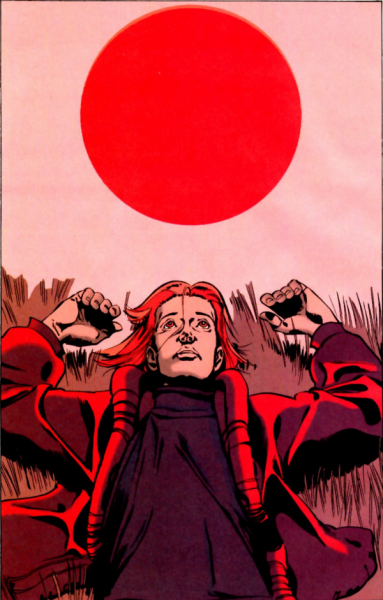 One way of looking at The Invisibles is that it’s Grant Morrison’s attempt to communicate the experience of remembering he was abducted by extra-dimensional entitites in Kathmandu. Which isn’t to say the experience of being abducted, but the experience of remembering you were abducted, with all the attendant embarrassment, self-critique, searching for like-minds, philosophical re-evaluation, and laughing fits that might entail. And just when you’ve managed to forget this ridiculous thing that might have happened to you, try to remember. Because if you’re committed to revolution for real, and you haven’t figured out what side you’re on, you will eventually find every pole reversed. If you’re a real revolutionary your enemy can only be opposition itself. But then again if you’re wearing the fiction suit of a comic book character, the answer of what side you’re on is pretty easy. 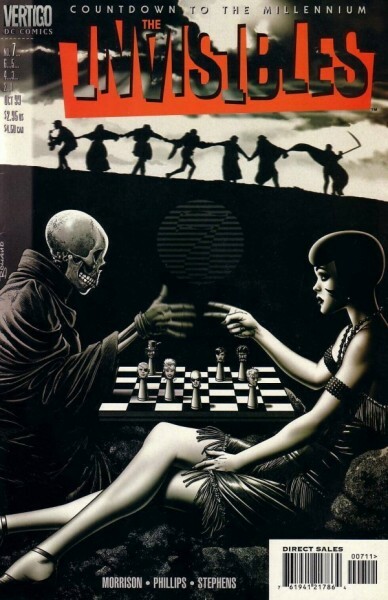 The Invisibles attempts to engage with every duality through the extended metaphor of action movie and revolutionary tract, memoir and magickal journal. Every duality? Yes, every duality. We all know now that every conspiracy is real, or may as well be. In that sense The Invisibles can feel dated at times. But as a wildly entertaining, genre-busting, edgy as hell piece of pop-art that demands self-examination and engagement for it to work, it is essential reading. And at the very least The Invisibles still asks s a relevant question, already answered here, at least three times, in a secret code: What side are you on? Check out our previous posts Bee and the Puppycat, Spacetrawler, Grrl Power, Krazy Kat, She-Hulk, King City, The Whiteboard, Hubris, Akira, The Wicked and the Divine, Saga, Are You My Mother?, Cairo, Static, Elfquest, Hip Hop Family Tree, Finder, Peanuts, Love and Rockets, As the Crow Flies, Hellblazer, Strong Female Protagonist, Safe Area Goradže, The Legion of Super-Heroes, The Arab of the Future, Barefoot Gen, and Stay Still and Stay Silent!